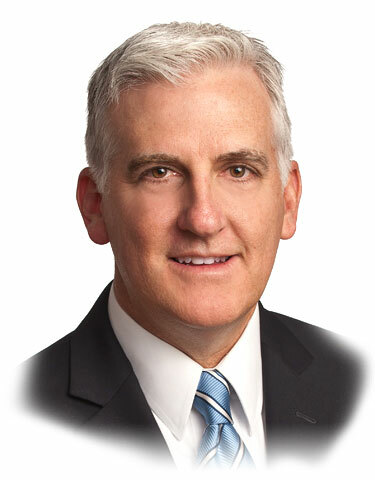 Attorney Richard I. Kantner, Jr. focuses his practice on Estate Planning, Elder Law and Medicaid nursing home planning and protection, real estate matters, and business law. With nearly 25 years of experience in Florida, Mr. Kantner has the requisite experience and knowledge to advise you how to best accomplish your goals and desires, protect your assets, plan for your business, and handle all your real estate matters. Attorney Kantner is also available for complimentary speaking engagements on Estate Planning, Asset Planning and Medicaid Planning, for your church, homeowner's association, group or club. Regent University School of Law (J.D. 1993), Virginia Beach, Virginia. Carson-Newman College (B.A. 1988), Jefferson City, Tennessee. 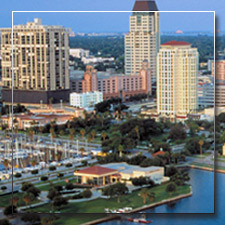 Florida Bar Association (Real Property, Probate & Trust Law Section and Elder Law Section), American Bar Association; Clearwater Bar Association; The Florida Bar 6th Judicial Circuit Grievance Committee (2008-2011 term), Attorneys’ Title Insurance Fund, Inc.; Bay Area Real Estate Council; The Financial Planning Association of Tampa Bay; Bayfront Hospital Council of Excellence; National Academy of Elder Law Attorneys; Pinellas County Guardianship Association; Suncoast Hospice Professional Advisors Committee; Metropolitan Ministries Planned Giving Advisory Committee (2013-present); Board of Directors of Friends of the Sunshine Senior Center Foundation (2011-2013). Where do you begin with setting up an estate plan? Why not just a will? Do you HAVE to create an estate plan? If the estate is small, should you still plan? Do you have an estate? We're ready to help you today! Please give us a call at 727-781-8201 or email us at Rick@AttorneyKantner.com to discuss your legal options. 424 - 22nd Avenue N.
"THE HIRING OF A LAWYER IS AN IMPORTANT DECISION THAT SHOULD NOT BE BASED SOLELY UPON ADVERTISEMENT. BEFORE YOU DECIDE, ASK US TO SEND YOU FREE WRITTEN INFORMATION ABOUT OUR QUALIFICATIONS AND EXPERIENCE." The Florida Statute (Chapter 709) that addresses powers of attorney was recently, substantially revised by the Florida Legislature’s passage of Senate Bill 670 on May 4, 2011. The new statute became effective on October 1, 2011 (“the effective date”). This article highlights some of the changes to the law that clients, their advisors, professional guardians, and others that have in the past, or may in the future, act as an agent, should be aware of in order to be protected and up to date. It should be noted that while the new law does not make a power of attorney properly executed prior to the effective date void, the new statute nevertheless applies in many respects to those powers of attorney that were executed prior to the effective date. Therefore, it is important to review existing powers of attorney to understand which terms will be subject to a different set of rules than were in place when the document was first executed and which are grandfathered in. The passage of the new law governing powers of attorney and similar instruments is an apparent attempt by the Florida legislature to achieve greater consistency and uniformity of Florida’s power of attorney laws with those of other states who have similarly passed the Uniform Power of Attorney Act (the “Act”). Nine other states have adopted the Act. Execution and Termination: Florida still requires the principal to sign the document in the presence of two subscribing witnesses, all before a notary public. Interestingly, the new Act considers a power of attorney executed in another state to be valid here even if it does not comply with Florida’s requirements, as long as it complied with the state of origin’s requirements. The power of attorney is not durable unless it explicitly contains language to that effect. The new law does away with most springing powers of attorney (those that “spring” into effect upon a certain event such as incapacity). To revoke a prior power of attorney, the principal executes a written document so expressing that desire (it need not be witnessed or notarized, though I think it advisable nonetheless). An interesting provision in the new law is that it provides that a photocopy or electronic copy of the power of attorney have the same effect as the original. The power of attorney is suspended upon the initiation of a judicial proceeding to determine capacity of the principal or for a guardianship proceeding. A power of attorney terminates upon the death of either the principal or the attorney-in-fact. A common misconception clients often have is that the power of attorney continues even after the death of principal. Agents: The agent (“attorney-in-fact”) must be: (1) a person who is at least 18 years old; or (2) a financial institution with trust powers, that has a place of business in Florida, and which is authorized to conduct trust business in the state. The principal may name a single agent or multiple co-agents and in the event that co-agents are named, each may exercise its authority independent from the others. Under the previous law, unless the document specifically stated, all agents were required to act jointly. Compensation: Under the new Act, an agent is entitled to reimbursement for expenses reasonably incurred while acting in the capacity as the attorney-in-fact; however, a big departure from the prior law is that only a “qualified agent” may receive compensation for services rendered. 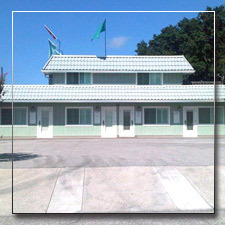 A qualified agent is defined as a spouse or an heir of the principal, a financial institution with trust powers and a place of business in Florida, an attorney or accountant licensed in Florida, or a natural person who is a resident of Florida and who has never been an agent for more than three principals at a time. In an apparent attempt to curb financial abuse and theft, at least by non-family members, the agent may not create in himself or herself, an interest in the principal’s property, whether it is through gift, by beneficiary designation, title change to an account or asset, or otherwise. This prohibition does not apply to a spouse, ancestor, or descendant of the principal. Acceptance: When a power of attorney is presented to a third party, the new law requires that third party to accept or reject the power of attorney within a reasonable time (four business days) and to provide a written explanation for rejection. The new law also provides for damages, including attorney’s fees and costs, for a third party who refuses to accept the new power of attorney that is in proper form and properly executed. The new Act modifies many additional powers not addressed here that may be important to you. You should contact a qualified Florida attorney to fully explain the changes to you and how they may affect your planning and whether it would be appropriate for you to execute a new Durable Power of Attorney to ensure that you will have the full rights, privileges, and protections provided by the new law. Richard (“Rick”) I. Kantner, Jr., was admitted to the Florida Bar in 1993, and his practice areas include Estate Planning, Elder Law, Probate Administration, and Medicaid and V.A. Benefits Planning. Mr. Kantner is a member of the National Academy of Elder Law Attorneys (“NAELA”) and the Elder Law Section of the Florida Bar. 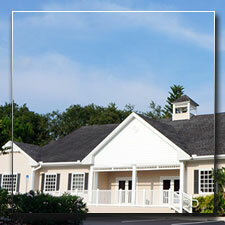 Offices in St. Petersburg, Largo/Belleair, and Palm Harbor. Use common-sense if you get an unsolicited phone call asking you for personal information such as Social Security number, date of birth, or account number. There should be no legitimate reason anybody that you have not first contacted should be calling you to ask for this information. Don’t give out this information! Write as few checks as possible. Your check has your signature, address, bank account number, bank’s routing number, bank name, and your name on it. A clerk in a store will often write your driver’s license number on the face of the check as well as your telephone number. If this information falls into the wrong hands, a thief has enough information to steal your identity and use your bank account. Subscribe to a credit monitoring service that monitors all three major credit-reporting agencies. Use your credit card instead of debit card whenever possible. Debit cards use your own money while credit cards use the credit card company’s money. So, if there is a problem with an unauthorized user, you are better off having the offender use the credit card company’s money versus yours. Shred all statements that you are not keeping (old credit card statements, bank statements, insurance statements, Social Security benefits statements, etc.). An address on one statement, a date of birth on another, the last four digits of your Social Security number on a third, account number on a fourth, and all combined could be just enough to allow major mischief. Shred them all. The HIPAA Privacy Rule. In 2003, the Health Insurance Portability and Accountability Act (HIPAA) became law, and it stated that an employee’s confidential health records must be protected from unauthorized dissemination. So today, a Health Care Power of Attorney should include an “Authorization for Disclosure of Protected Health Information”. This permits a health care provider to transmit PHI to doctors and hospitals under the HIPAA Privacy Rule. Without it, you could have a problem in a medical emergency, because most health care providers won’t provide PHI without the express written authorization of the patient (a HIPAA medical release form). In fact, doctors and hospitals can face fines and sanctions for violating the HIPAA Privacy Rule. I would advise you to meet with an attorney of your choice – one with experience in estate planning – to discuss your specific situation and goals and then devise a plan that meets your objectives. Primary options would be a Last Will & Testament or Living Trust. Did you know that your heirs could encounter legal hassles … even if you have a will? Basically, a will tells the world what you’d like to have happen, but proper estate planning is what provides the tools to make those things happen. While your will may state who your beneficiaries are, those beneficiaries may still have to seek a court order to have assets transferred from your name to theirs. Until the Probate court enters an Order in the case, those assets won’t lawfully belong to them. Estate planning can include techniques such as properly prepared and funded trusts, which could help your heirs to avoid Probate. While it is quite possible to die without planning your estate (and too many do), I wouldn’t say it is advisable. If you die without an estate plan, your family could face major legal issues and possibly bitter disputes. So in my opinion, everyone should do some form of estate planning. Your estate plan could include wills and trusts, life insurance, disability insurance, a living will, a pre- or post-nuptial agreement, long-term care insurance, power of attorney and more. Well, even if you’re just leaving behind the money in your wallet, who will inherit it? Do you have a spouse? Children? Is it theirs? Should it go to just one of them, or be split between them? Will this have to be go through Probate? If you don’t plan ahead, you could potentially be leaving behind a legacy of legal headaches for your survivors. This, quite simply, is what estate planning is all about – deciding how what you have now (money and assets) will be distributed after your lifetime. It doesn’t matter how limited (or unlimited) your means may be, and it doesn’t matter if you own a mansion or a mobile home. Rich or poor, single or married, when you die, you leave behind an estate. For some, this can mean real estate, cash, an investment portfolio and more. For others, it could be as straightforward as the money in their wallet and the clothes on their back. It could mean a settlement for a pending lawsuit or even a wrongful death action resulting from your death. In any event, what you leave behind when you die is considered to be your “estate”. Probate may be the result.